Conveyor System | Senkox Technologies Inc.
All conveyor systems are at risk of fire caused either by the ignition of transported materials or by equipment failure. A mechanical fault in the bearing of a roller, or the friction between the roller and the belt, can produce a buildup of heat sufficient to ignite a fire. In the case of a coal conveyor system, the risk of fire is exceptionally high. 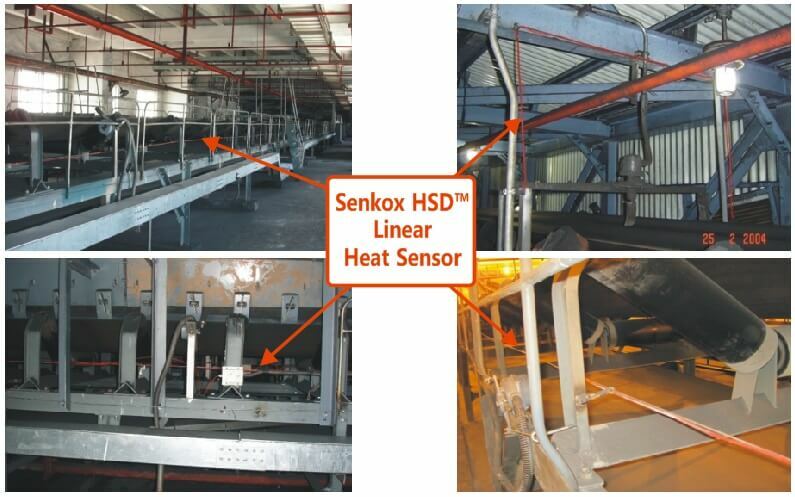 Senkox HSD™ Linear Heat Sensors are installed either on the side of the conveyor belt and/or above the idler arms. 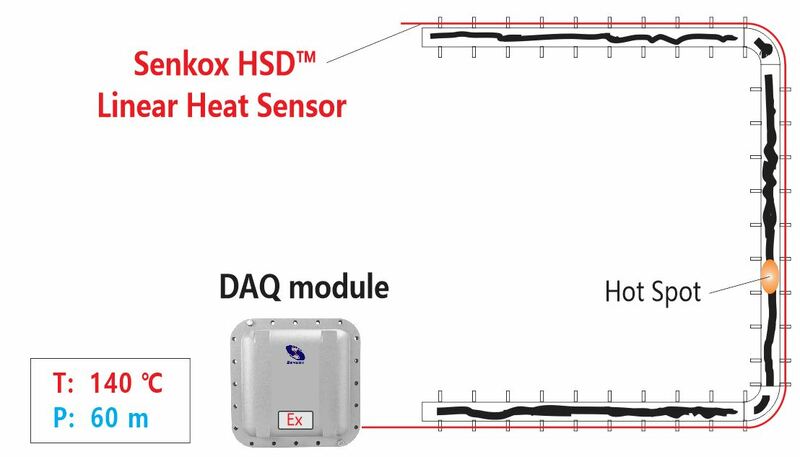 Senkox HSD™ Linear Hot Spot Detectors can monitor the temperature of the conveyor and detect any hot spots along the belt; if a hot spot is detected, the HSD detectors will target the identified hot spots and trigger specific sprinkler systems to eliminate the condition of overheating. Intrinsically safe, sensors can be installed in hazardous locations. Continuous linear sensors provide superior coverage. Rugged sensors withstand high abrasion and resistance to bending.